The journey of a thousand miles begins with a single step. Al Jamia Al Islamiya set out a brave new journey on a road less travelled. 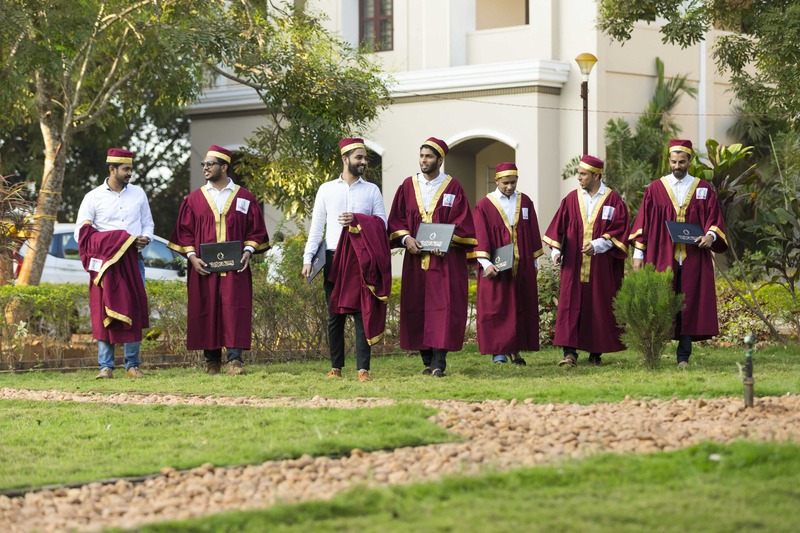 In 1955, the erstwhile Islamiya College Santhapuram marked a new beginning by fusing together a holistic Islamic educational paradigm that combined Islamic tenets of knowledge with the futuristic secular education. This unique model set the tone and tenure for an Islamic educational renaissance in Kerala. Much has changed since then. It propelled many other institutions to shed the burdens of the past and enter a new era of Islamicisation of human knowledge. The single biggest contribution of Al Jamia, perhaps, was that it almost changed the prevailing narrative of Islamic education in Kerala. Al Jamia has, by the grace of Allah, been successful in producing a new cadre of thought-leaders, D’awa workers, activists, media persons, writers, scholars and intellectuals capable of leading the community from the front. They are, thank God, rendering exemplary services in a wide spectrum of fields in India and abroad. In 2003, the institution was upgraded to the status of an Islamic University by the world- renowned Islamic scholar Sheikh Dr. Yusuf Al Qaradawi.